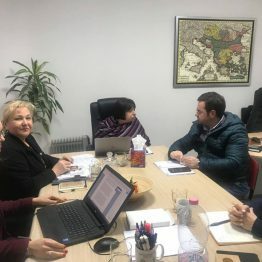 Hosted by the National Center on Health Management in Chisinau, Republic of Moldova, the Regional Health Development Center on Human Resources for Health (RHDC HRH), also known as the SEE Observatory on HRH, was established by a decision of the SEE Health Network in June 2011. The RHDC HRH strives to provide information and knowledge in the field of HRH, facilitate the dialogue in the policy-making and regionally monitor the HRH on legislative level. 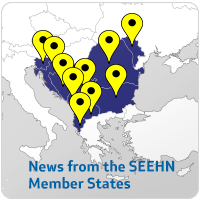 The collaboration with the SEEHN member countries and other international organizations helps the Center introduce better standards and develop relevant guidebooks and training programs. In that context, in June 2012, in cooperation with WHO Europe, the Ministry of Health of the Republic of Moldova has organized a Consultation on “Strengthening the health workforce knowledge base to support evidence-informed health policies” which proved to be beneficial to the representatives of 7 SEEHN member countries, the majority being human health resources.